Every session of the Virgin Australia Supercars Championship is broadcast live in high definition on Fox Sports within Australia. On free to air television within Australia, Network Ten covers races from the Superloop Adelaide 500, Watpac Townsville 400, Supercheap Auto Bathurst 1000, Vodafone Gold Coast 600, Sandown 500 and Coates Hire Newcastle 500 live. Looking to live stream? 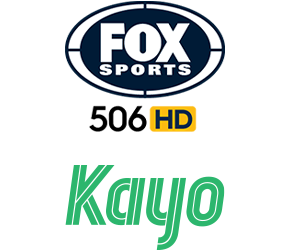 Kayo Sports provides LIVE streaming of every practice, qualifying session & race of the 2019 Virgin Australia Supercars Championship for those living in Australia. Start your 14 day free trial today. Click here to find out more. For other events check out highlights on Network Ten on Saturday and Sunday of race weekends. Within New Zealand SKY SPORTS covers the championship live in HD. Outside of Australia and New Zealand you can follow the action with the SuperView live streaming product. Read on below for upcoming Supercars broadcasts on Fox Sports, Network Ten and SKY SPORTS. Action from Thursday of the PIRTEK Perth SuperNight. Catch up with Jess Yates, Mark Skaife and Craig Lowndes as they discuss the latest news and views from the Supercars paddock. Supercars hit the track for Practice 1 at the PIRTEK Perth SuperNight. Action from Friday of the PIRTEK Perth SuperNight. Supercars hit the track for Practice 2 at the PIRTEK Perth SuperNight. Supercars hit the track for ARMOR ALL Qualifying to set the grid for Race 11 at the PIRTEK Perth SuperNight. Supercars hit the track for Race 11 of the championship at the PIRTEK Perth SuperNight. Action from Saturday of the PIRTEK Perth SuperNight. Supercars hit the track for Practice 3 at the PIRTEK Perth SuperNight. Supercars hit the track for ARMOR ALL Qualifying to set the grid for Race 12 at the PIRTEK Perth SuperNight. Supercars hit the track for Race 12 of the championship at the PIRTEK Perth SuperNight. Relive all the action of the PIRTEK Perth SuperNight.